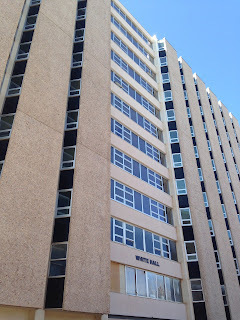 This week I ran up the stairs of the tallest building in Wyoming, White Hall, a dorm on the University of Wyoming Campus in Laramie Wyoming that is 13 stories and 200 feet tall. I was fortunate to have meetings in Wyoming for work and had a little time to make the 45-minute detour from Cheyenne to Laramie on my way back to Denver. Wyoming is a beautiful state…..A windy and cold state but a beautiful state. You also see very random trucks driving across I-80. 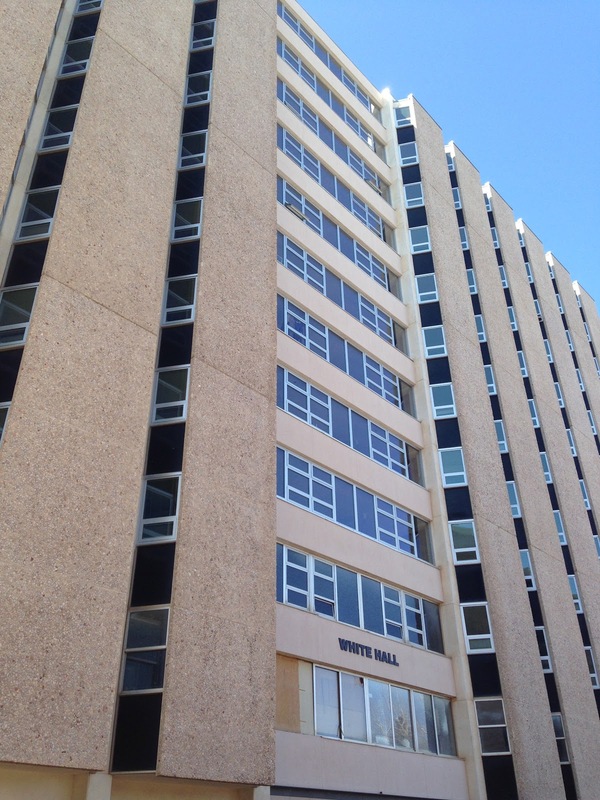 Unfortunately when I arrived I saw that the White Hall is under major construction. 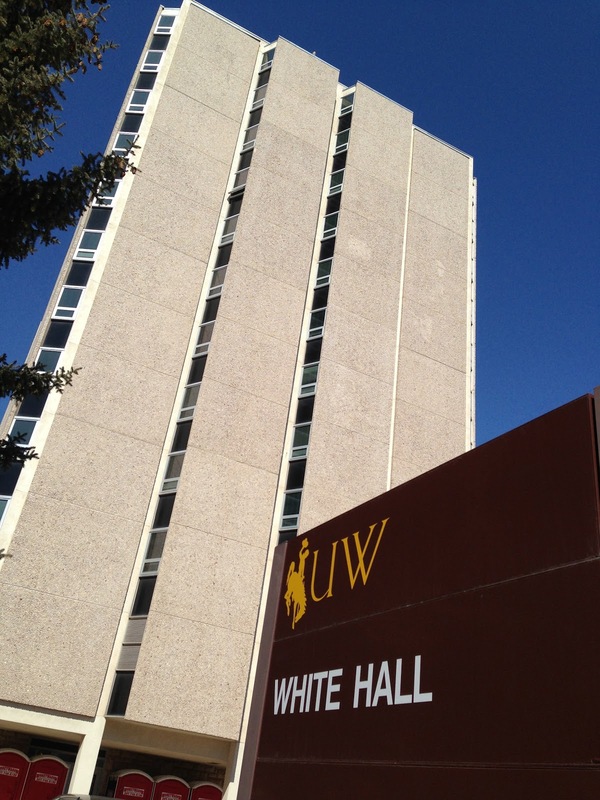 I always do my best to ensure I am entering buildings with approval from the appropriate people so I first visited the Facilities Management office in the university administration building. They were very nice and said it is fine with them but the onsite property manager for the construction has the ultimate say. I exited the building and decided to throw my shoes on and run the 13 floors in my business clothes. For one thing it was so cold out that I didn’t want to freeze in my running clothes, I also knew 13 floors would be a sprint and I could then get out of Laramie and head back to Denver. My usual video camera that goes on my head had a dead battery so I decided to hold my iphone to document my run. 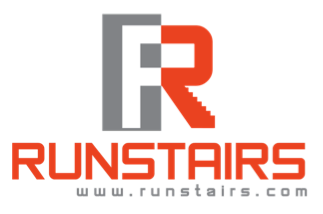 You can view the video below but be prepared….while running up stairs is a thrill for me to have a fast time and accomplish this large goal, watching someone go around and around a staircase is not that exciting. It took 48 seconds to reach the top. So there we go. Mission accomplished in Wyoming. 46 more states to run.